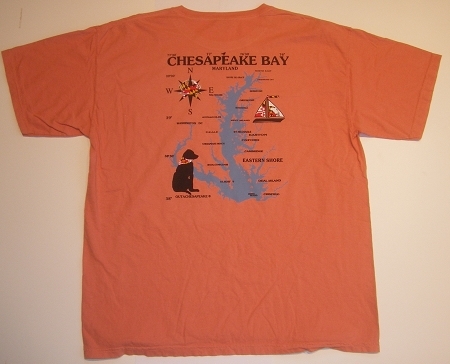 Outa Chesapeake® showcases the Chesapeake Bay in this beautiful Comfort Colors® Terra Cotta tee. 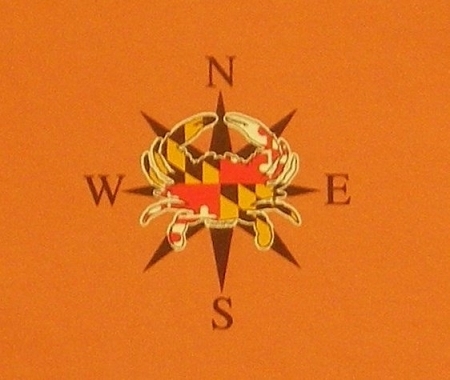 Large Chesapeake Bay image on back of shirt and small compass rose with Crabs Outa Maryland on the front left chest. 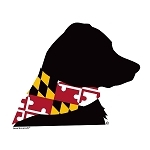 Adult sizes S - XXL.